Here you will see canalside villages of half-timbered houses, perhaps with a stork nesting in the chimney top. The waterway winds through steep sided forested valleys and features an amazing boat lift which carries the barge sideways 450 feet up the hillside and several tunnels which we cruise through by candlelight. 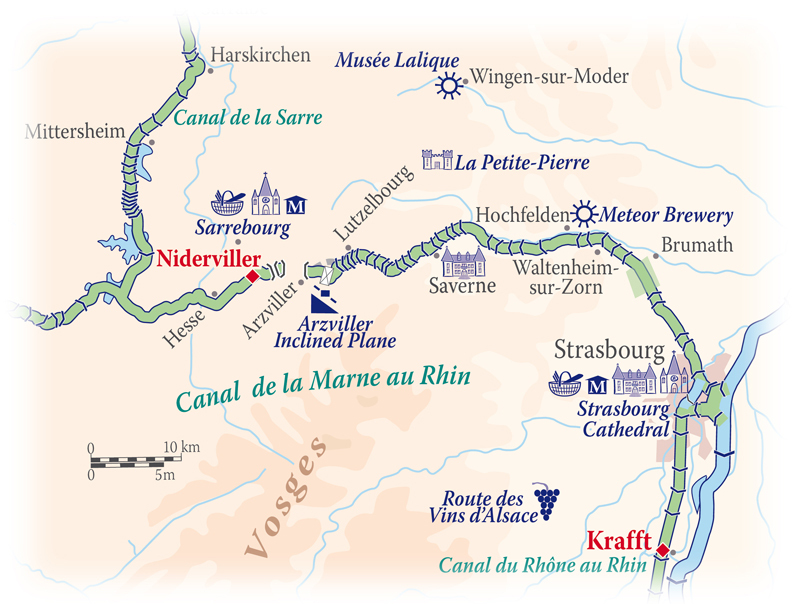 The deluxe 12 passenger Panache offers 6 night cruises in Alsace from summer through to October and the ultra-deluxe 8 passenger La Nouvelle Etoile spends four weeks a year cruising this unique region.